Brakes are one of the most important parts of your vehicle. Without functional brakes, you can’t get where you need to go in the areas of Albuquerque, Rio Rancho, and South Valley safely. That’s why taking good care of your brakes is vital. When you’re on the hunt for “brake repair near me,” you can count on our team at Land Rover Albuquerque to help you get things back to normal. On this page, you’ll find all kinds of information about brake repairs, including the benefits of brake repairs, signs you need a new brake system, and how we replace your brake pads and rotors at our on-site service center. Continue reading to learn how our maintenance and brake services can make your ride safer and more reliable! What to Do About Squeaking Brakes? When it comes to any type of vehicle maintenance, you’ll see huge benefits from addressing minor problems before they grow into more serious ones. Brake repairs won’t just give you the secure, dependable ride you want when you’re behind the wheel of your vehicle—it will also help you save on extensive repairs and steep replacement costs in the long run. Taking care of your vehicle for your own sake is your first priority. However, you may also want to resell your vehicle or trade it in for your next vehicle later on down the road. In this case, keeping your vehicle in the best shape possible with brake repairs and other necessary maintenance will help you get the most out of future trade-ins or sales. Every vehicle has different maintenance requirements, so the first thing you’ll want to do is check your owner’s manual to see how often the brakes on your specific vehicle need to be serviced. Regardless of whether it’s time for scheduled maintenance, you should always keep an eye—and ear—out for warning signs that your brakes are in need of a little attention. Thankfully, the most common signs of faulty brakes are easy to spot. The brake pedal is harder to use: This is also referred to as “mushy pedal syndrome” and requires you to press down on the brake pedal harder than you should need to in order to stop or slow down. The brake pedal, vehicle body, and/or steering wheel vibrate when you brake: When you press down on the brake pedal, you might feel shaking in the brake pedal or steering wheel. If this is the case, it can also feel like the whole body of the vehicle is vibrating when you use the brakes. The vehicle pulls to one side when you brake: Without turning the steering wheel, your vehicle veers to one side or the other of its own volition when you press down on the brake pedal. You hear unusual noises when you use the brakes: Problems with the brakes often create strange noises like squeaking and squealing. You can also usually hear loud grinding noises when you press down on the brake pedal. If any of these issues sound familiar to you, it’s more than likely that you’re experiencing a problem with your brakes. Before things get any worse, be sure to have your brakes looked at right away! When you visit our Albuquerque service center for your next brake repair, you can rest easy knowing your repairs are in the capable hands of our factory-trained service specialists. We’ll work on your car with the same care we’d use on our own, and we use only genuine factory parts for high-quality service. When your brake system starts to wear out and you need replacement parts, our technicians are here to diagnose any problems you might be experiencing. They’ll find the right solution and get things back to normal working order in no time. Our brake specialists excel in servicing Land Rover vehicles, but we do top-notch work on a wide array of other makes and models as well. No matter what kind of car you’re driving, we’re confident that we can get things squared away. Be sure to check out our service specials prior to arriving to be sure you don’t miss out on great savings! We at Land Rover Albuquerque are thrilled that you decided to stop by today to learn more about brake services and how we can help you handle all your brake repair needs in our on-site service center. 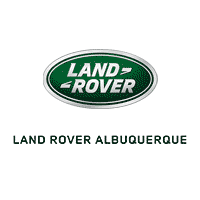 No matter what kind of maintenance you need, our service center at Land Rover Albuquerque is the place to go. We’ll handle all your services and can advise you on the proper maintenance schedule for your vehicle. If you’re in need of brake repair or are due for a routine fix, you can easily schedule a service appointment through our website at your convenience. Tell us more about your car and the repairs you think it needs, or if you’re in a hurry, select an appointment time immediately. If it’s more convenient for you, you can also give our service center a quick call right now to schedule an appointment. Drivers in the areas of Albuquerque, Rio Rancho, and South Valley can also stop by the service center on their way through town!